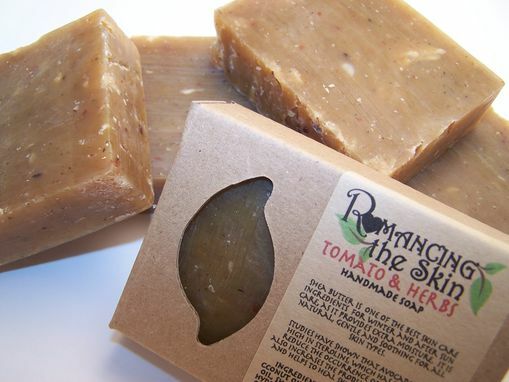 This OUTSTANDING SUMMERTIME SOAP weighs between 4.4 - 4.7 oz. and contains: Saponified Olive Oil, Coconut Oil, Distilled Water, Grapeseed Oil, Shea Butter, Avocado Oil, Sodium Hydroxide (lye), Castor Oil, Safflower Oil, Tomato, Steric Acid, Grapefruit & Orange Peel, Apricot Seeds, Calendula Extract, Chlorohpyll, Fragrance, Essential Oils, Rosemary Oleoresin, Medowfoam Oil, Vitamin E & Olive Leaf Powder. This garden-fresh fragrance smells like a fresh tomato leaf and not the actual tomato that you use in your spaghetti sauces - it's light, fresh, airy and herb-y. It is a blend of all kinds of melons and tomatoes with some additional blending notes thrown in for good measure. Tomato Leaf is rounded out with lemon-lime top notes, fresh leafy herbaceous middle notes and a wonderfully rich and earthy base. Essential oils of lavender and rosemary were also added to the mix. Olive oil is a natural skin softener and moisturizer. Beyond that, one of the surprising olive oil benefits is that is acts as a sealant. What this means is olive not only moisturizes and softens, but it helps the skin retain moisture as well. Olive oil benefits the healing of minor scrapes, cuts, and wounds. The skin-softening properties of the oil helps to reduce scar formation and speeds up the fading of scars. The best part is that olive oil does not clog pores so it will not cause a pimple to form. Coconut Oil helps strengthen underlying tissues and remove excessive dead cells on the skin's surface that make your skin rough and flaky in texture. 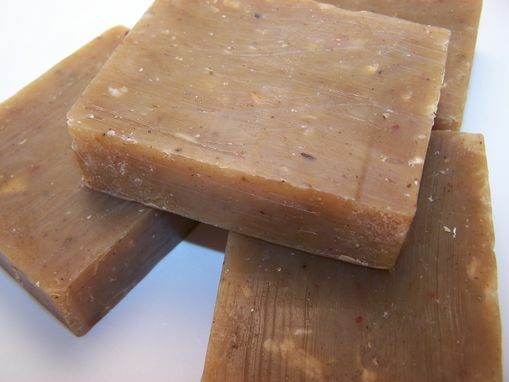 Shea butter is one of the best skin care ingredients for winter and after sun care, as It provides extra moisture. 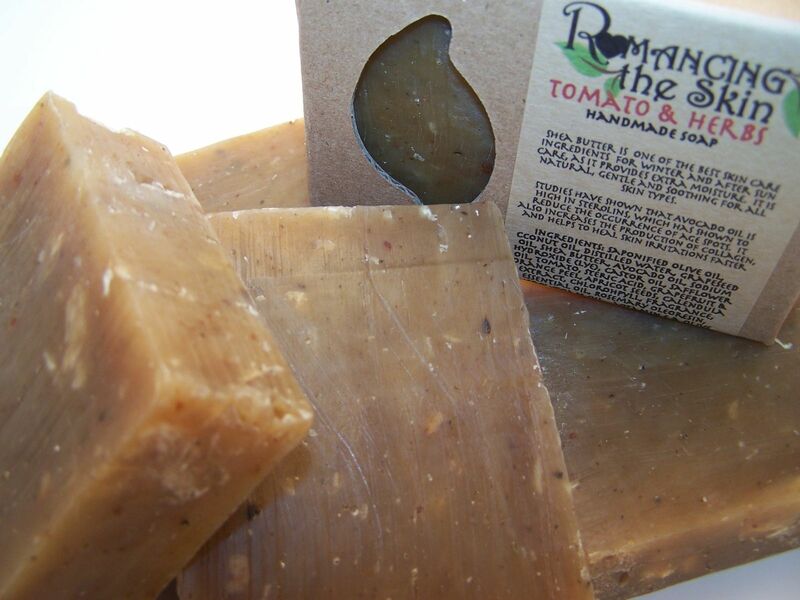 It is natural, gentle and soothing for all skin types. 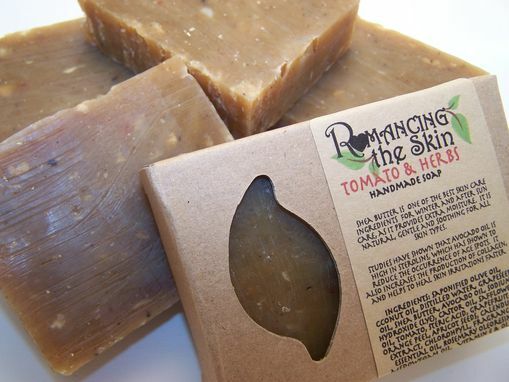 The juice of tomato contains a high percentage of nutrients that are beneficial for the skin. They include vitamin A, vitamin C, lycopene and proteins. Lycopene is basically a carotenoid, which counteracts the action of free radicals in the body. This is a strong antioxidant that gives tomato its distinctive color. To cut it short, what makes tomato a special treat for skin and health is its high antioxidant content. Other benefits are Skin lightening, reduces oiliness, cleanses, relieves irritation, such as itching, scaling and unusual redness, removes blackheads, treats sunburn and make the skin more supple. Rosemary is especially useful for treating chronic skin conditions, dermatitis, eczema and psoriasis. Its skin nourishing action makes it ideal for dry and mature skin. Rosemary and rosemary oil can effectively tone our skin (especially sagging and loose skin) and make it firmer and more elastic. This herb has very powerful astringent properties, meaning that it can effectively reduce extra oil, as well as refresh and rejuvenate our skin. It is a very good natural remedy for reducing swelling and puffiness. Studies have also shown that rosemary is a potent anti-carcinogen and may play a role in treating cancer in the near future. The health benefits of lavender oil for the skin can be attributed to its antiseptic and antifungal properties. It is used to treat various skin disorders such as acne, wrinkles, psoriasis, and other inflammatory conditions. It is commonly used to speed up the healing process of wounds, cuts, burns, and sunburns because it improves the formation of scar tissues. Apricot seeds, grapefruit and orange peel have good scrubbing properties making this a wonderful hand soap. In our busy day-to-day life we often put aside the finer things, like a simple bar of extraordinary soap. 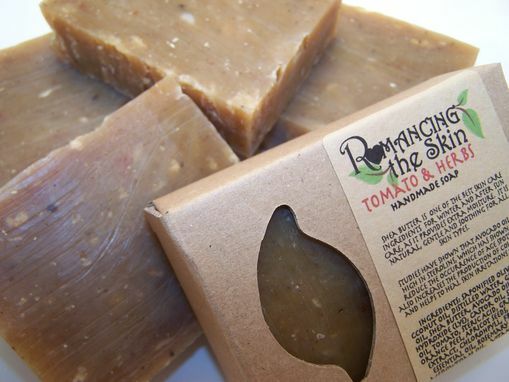 But a natural fragrant, creamy, bubbly, soothing handmade bar of soap is a simple pleasure that creates a feeling of relaxation and of being pampered, as well as, supporting a chemical free ecosystem and healthy skin. 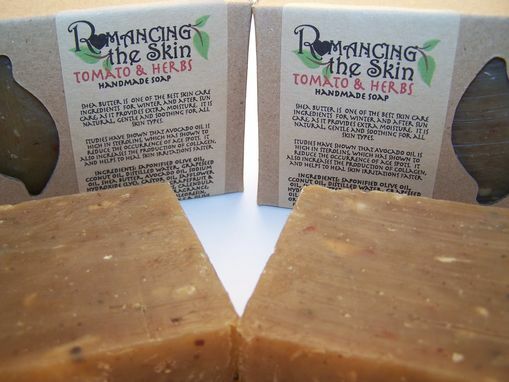 So Romance yourself or someone you love with my natural cold processed soap, your skin will love you for it! Custom orders are welcome, especially for weddings, retirement parties, birthdays and so on. These products make a lasting impression and are a personal touch to any occasion.